Hong Kong's economy stalled last year as the ongoing China-US trade dispute and retail woes dragged down local business, the city's financial chief said Sunday. Beijing and Washington have already imposed duties on more than $360 billion in two-way trade, roiling global financial markets and weighing heavily on manufacturing output in both countries. 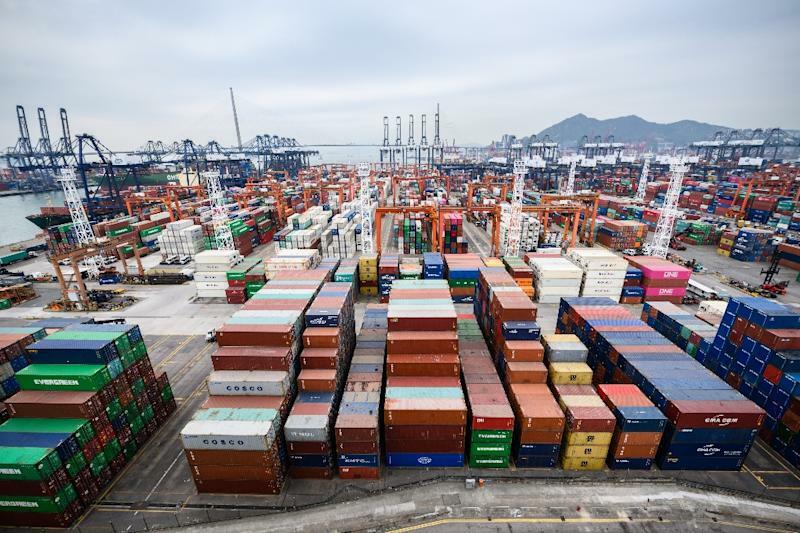 "The impact of China-US trade frictions on Hong Kong's exports has clearly emerged at the end of last year," said finance secretary Paul Chan. Economic growth in the semi-autonomous Chinese city for the last quarter of 2018 was less than 1.5 percent -- the weakest since the first quarter of 2016 and a "significant slowdown" from the average growth rate of 3.7 percent in the first three quarters, Chan wrote on his official blog. The slowdown brought last year's growth rate to an estimated three percent, down from the higher-than-forecast 3.8 percent recorded in 2017, he added. "It was almost 'zero-growth' for commodities exports in the fourth quarter, which was a sharp drop compared to the average 6 percent growth in the first three quarters," he wrote. Chan said consumer sentiment had also dampened with retail sales rising only 2.1 percent year-on-year in the fourth quarter, a far cry from the more than 12 percent increase in the first half of the year. "The external political and economic situation remains unclear... Therefore, we repeatedly stress the need to support enterprises, safeguard employment, stabilise the economy and benefit people's livelihoods," he wrote, hinting at the ongoing trade negotiations between the world's top two economies. Chan is expected to deliver the Hong Kong budget on February 27.